The Redlands Bicycle Classic just rode by, but not before pummeling the judges table with water bottles...ouch! 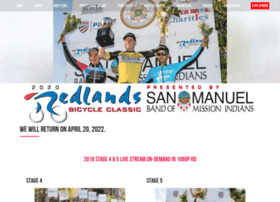 Redlands Bicycle Classic is looking for a volunteer to write press releases & marketing materials. Hit me up if you're interested.